Traditional suede bag. Indispensable for parties and occasions. Matching the dirndl and big enough to accommodate all the essentials such as make-up bags, keys, wallets and more. The shoulder strap is three-way adjustable so that the dirndl bag can be worn over the shoulder or as a cross-body bag. With the magnetic closure, it can be easily opened and closed and with the rhinestone edged decorative brooches in alpine design, in addition to traditional elements, a touch of glamour comes into play. 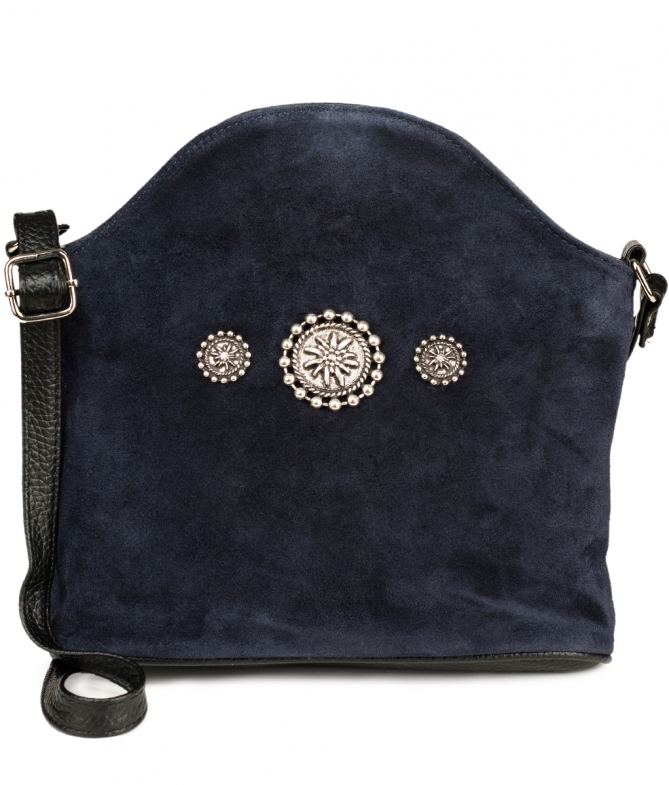 The dirndl bag is made of suede leather. Here in the colour marine.